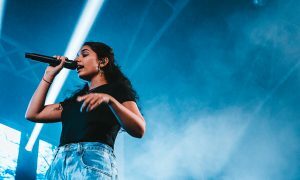 The 2018 APRA Music Awards at the International Convention Centre in Sydney have celebrated talented songwriters and music publishers that have achieved outstanding success in the past year. 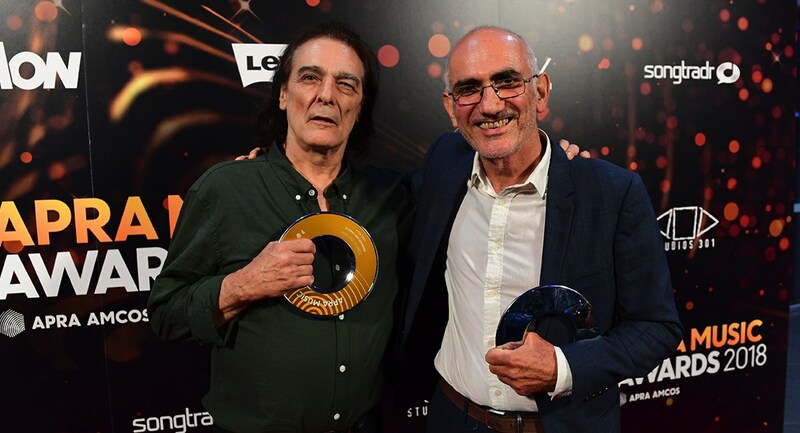 “Firewood and Candles”, co-written by Paul Kelly and Melbourne music all-rounder Billy Miller (The Ferrets) took out the coveted peer-voted APRA Song of the Year. A.B. 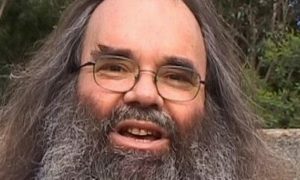 Original (Briggs and Trials) took out the 2018 Songwriter of the Year award. The duo set the music world ablaze with their debut album “Reclaim Australia”. 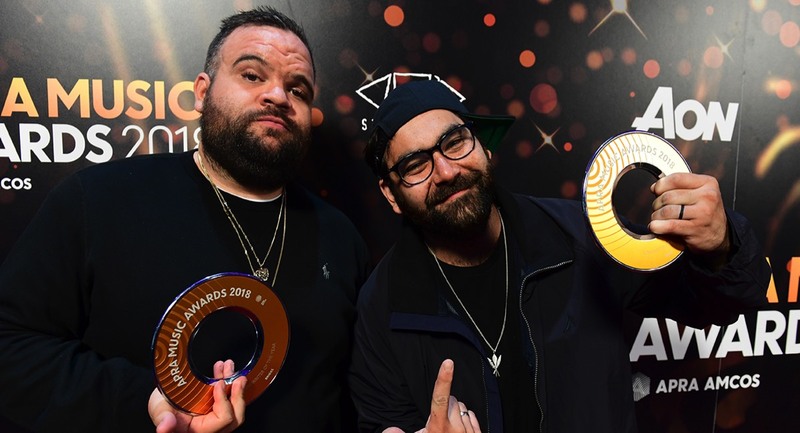 Briggs and Trials are the first hip hop artists to be named APRA Songwriter of the Year. The APRA Board of Directors named Sarah Aarons the Breakthrough Songwriter of the Year. At just 23, Aarons has already had astonishing success as a behind-the-scenes songwriting force, co-writing the Billboard chart-topping hit “Stay” by Zedd featuring Alessia Cara, co-writing Jessie Ware‘s single “Alone”, as well as writing with artists including Flume, Demi Lovato and Bishop Briggs. The Overseas Recognition Award went to Ben Abraham and Kylie Sackley. Recently signed to Atlantic Records, Ben Abraham has become a sought-after writer, with credits to his name including Kesha’s game-changing platinum-certified Top 10 hit “Praying”, Demi Lovato, rising stars Wrabel and Wafia and many more. Nashville-based songwriter and Cairns native Kylie Sackley has been blazing a trail since her arrival to the music city in the early 2000s. She wrote LeAnn Rimes country comeback smash “Nothin’ ‘bout Love Makes Sense” and co-wrote Faith Hill’s “Sunshine” and “Summertime” (both of which went Top 5 on the US Billboard Country Chart). Most recently, Sackley co-wrote country-pop song “You Broke Up with Me” for Walker Hayes, which ended the year in the US top 100 most played country songs of 2017 and certified Gold in the US. Peking Duk’s “Stranger” (written by Adam Hyde, Reuben Styles, Kaelyn Behr (Styalz), Elliphant, Daniel Goudie and Ashley Milton) was a dual winner, scoring the Most Played Australian Work and Dance Work of the Year. Another two-time winner is M-Phazes, who along with Illy, Grant Michaels and Suzanne Shin took out the Urban Work of the Year award for “Catch 22” (performed by Illy featuring Anne-Marie). 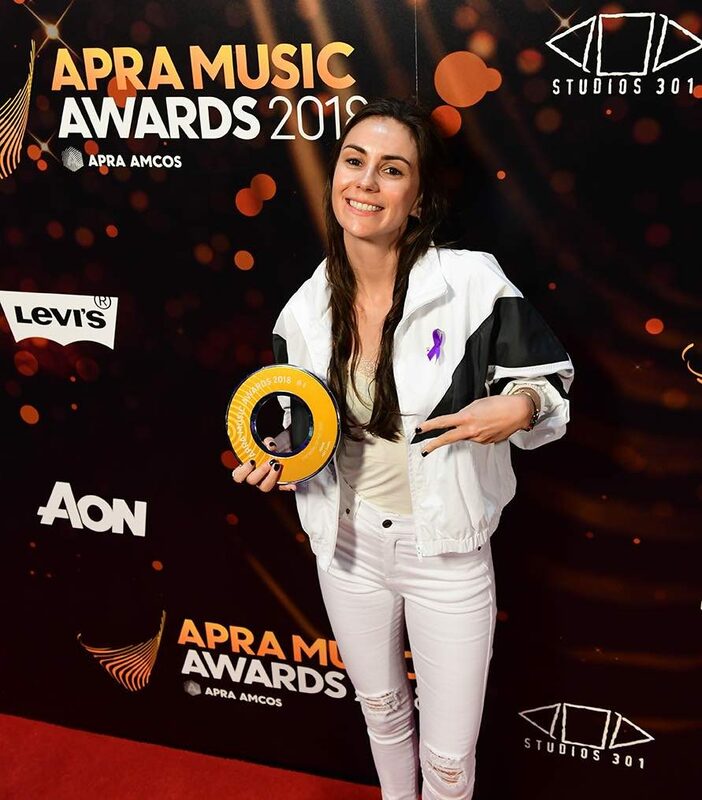 M-Phazes also received an APRA Award for his collaboration with Amy Shark, whose monster hit “Adore” took out Pop Work of the Year. The Country Work of the Year was awarded to “Kiss Somebody” written by Morgan Evans, Chris De Stefano and Josh Osborne and performed by Evans, who was anointed by Billboard as one of 15 country artists to watch in 2018. Busby Marou’s song “Best Part of Me” written by Thomas Busby, Jeremy Marou and Jon Hume was the Blues & Roots Work of the Year winner. Winning their fifth APRA Music Award was Birds of Tokyo (Ian Berney, Ian Kenny, Glenn Sarangapany, Adam Spark and Adam Weston) for “Brace” in the Rock Work of the Year category. Taking her APRA Music Awards tally to nine was international songwriting superstar Sia, who had the Most Played Australian Work Overseas with her song “Cheap Thrills”. 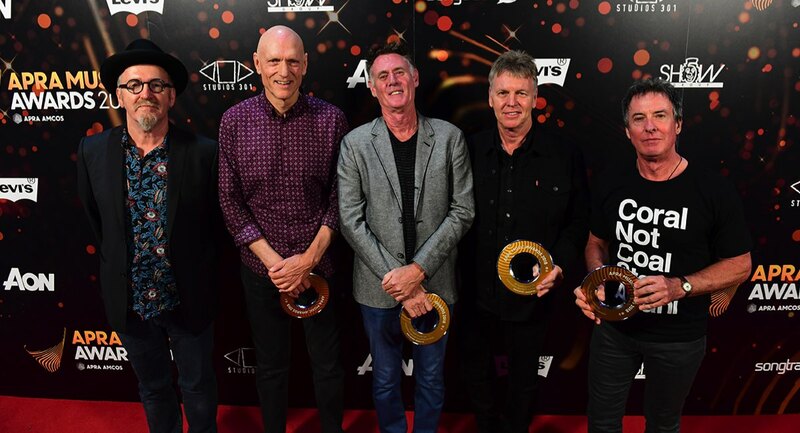 Legendary rock group Midnight Oil accepted the Ted Albert Award for Outstanding Services to Australian Music, an honour that APRA confers on a group or individual who has contributed immensely to Australian music. As previously announced, The Licensee of the Year award was given to the Settlers Tavern, Margaret River, WA for its excellent music citizenship. Ed Sheeran and co-writers Kevin Briggs, Kandi Burruss, Tameka Cottle, Steven McCutcheon and John McDaid received the International Work of the Year for “Shape of You”. APRA chair Jenny Morris delivered a moving tribute to much respected outgoing APRA AMCOS CEO Brett Cottle who leaves with more than 40 years’ service to APRA AMCOS, and 28 of those years as its chief executive. 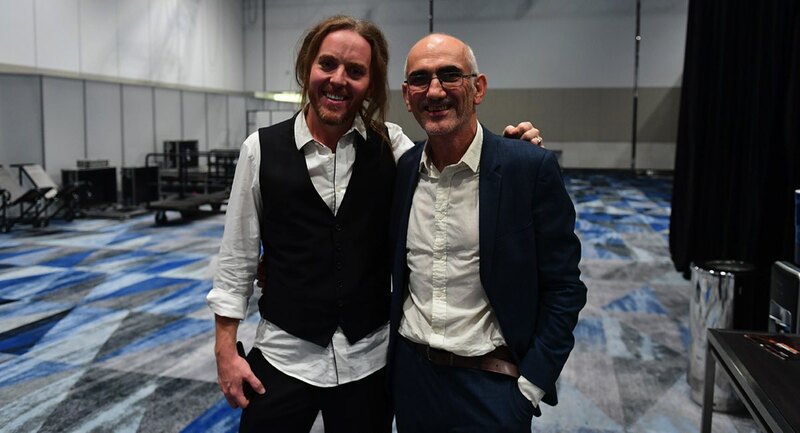 The 2018 APRA Music Awards were hosted by Julia Zemiro while Robert Conley programmed a stellar list of performances for his final turn as musical director. In a musical tribute to outgoing APRA AMCOS CEO Brett Cottle, Song of the Year nominee Ainslie Wills performed her new Songhubs single “Society”. Arnhem Land sensation Baker Boy opened proceedings with his anthemic “Marryuna”, while an all-star super group featuring Suze DeMarchi and Baby Animals, Adalita and Isabella Manfredi paid musical tribute to Midnight Oil. 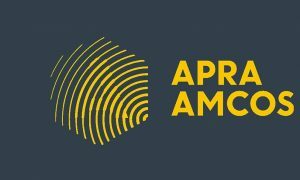 2018 APRA Awards presenters were Isabella Manfredi, Tracey Spicer, Kasey Chambers, Adam Eckersley, Brooke McClymont, Starley Hope, Andrew Farriss, managing director at Sony/ATV Music Publishing Australia Damian Trotter, Amber Lawrence, Guy Sebastian and the Hilltop Hoods.